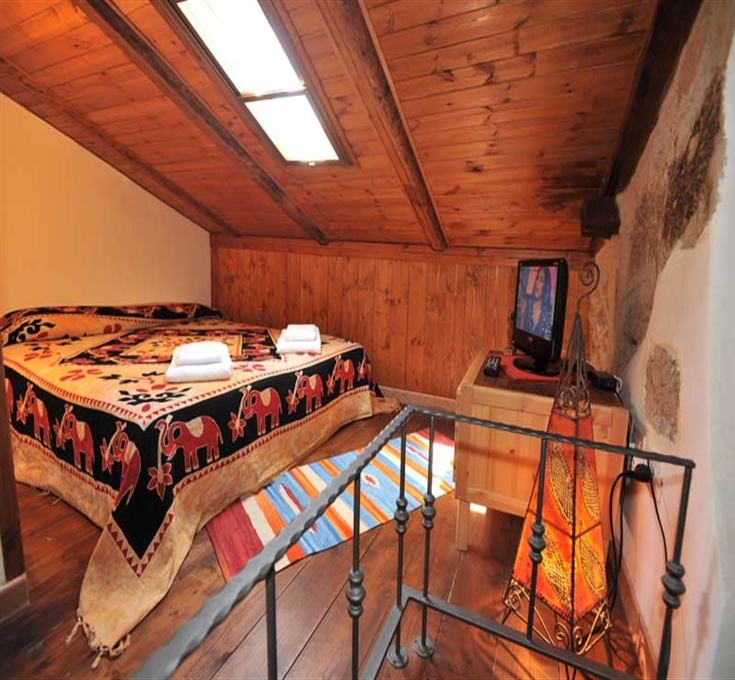 The building where B&B Aigua is hosted has been carefully restored to its original beauty. 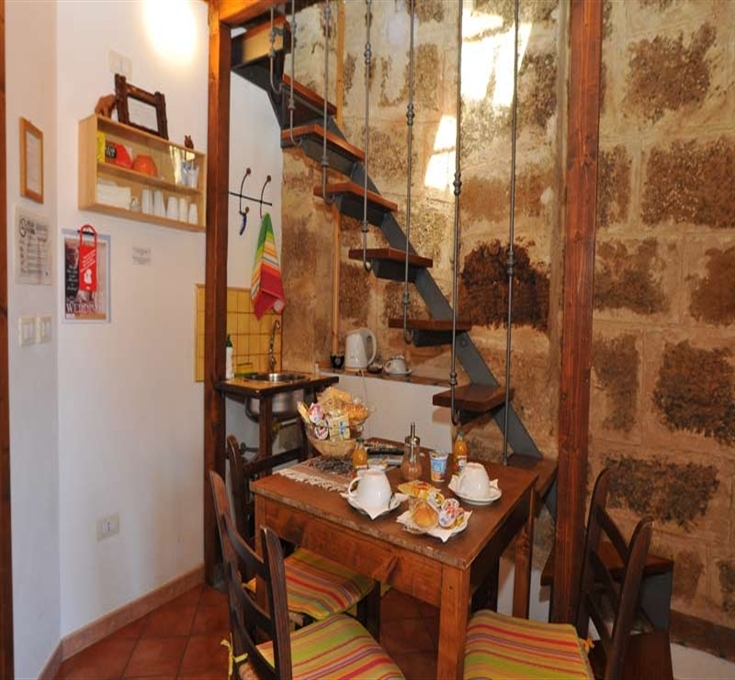 It is located right in the heart of the historic centre of Alghero, standing over the little streets that criss-cross towards the seafront. 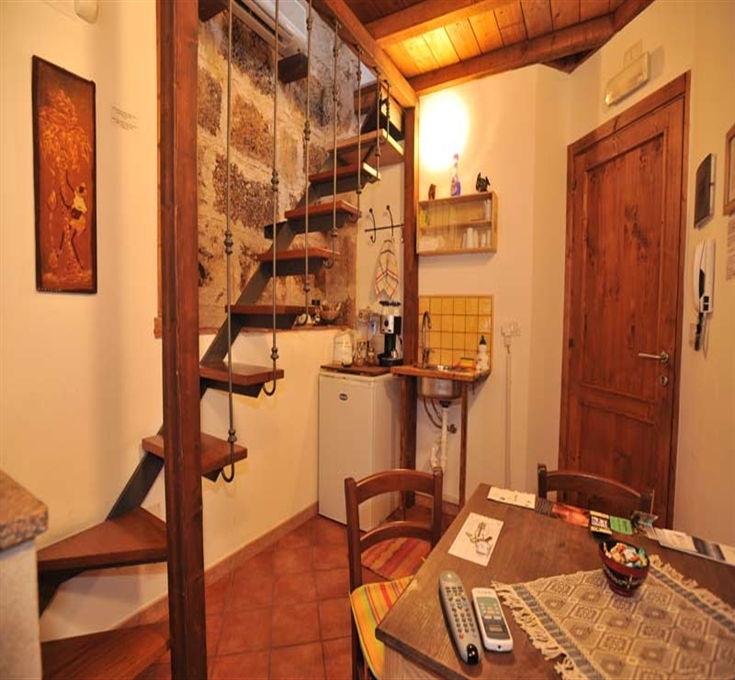 B&B Aigua has a reception area with private corner and three mini apartments. 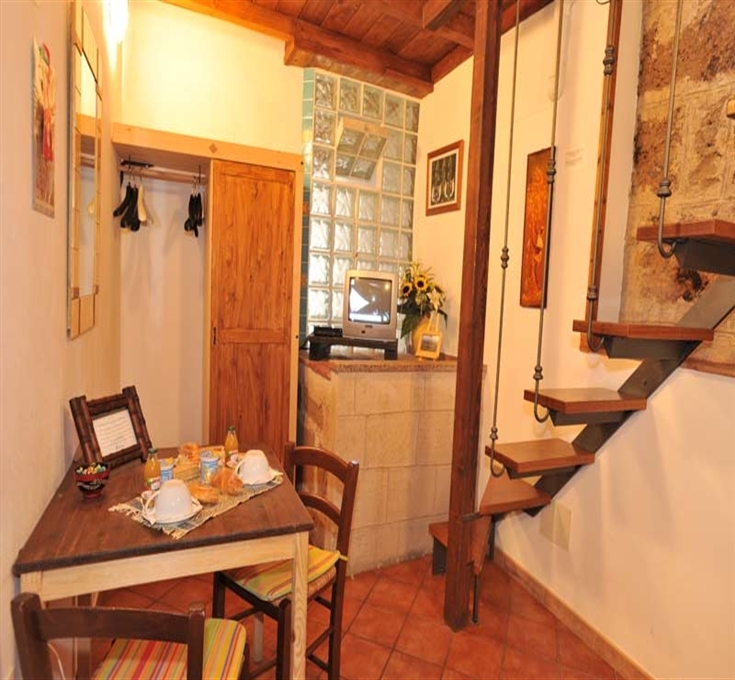 The apartments are very comfortable and decorated in a creative and personal adaptation to the peculiar and warm style of the town. 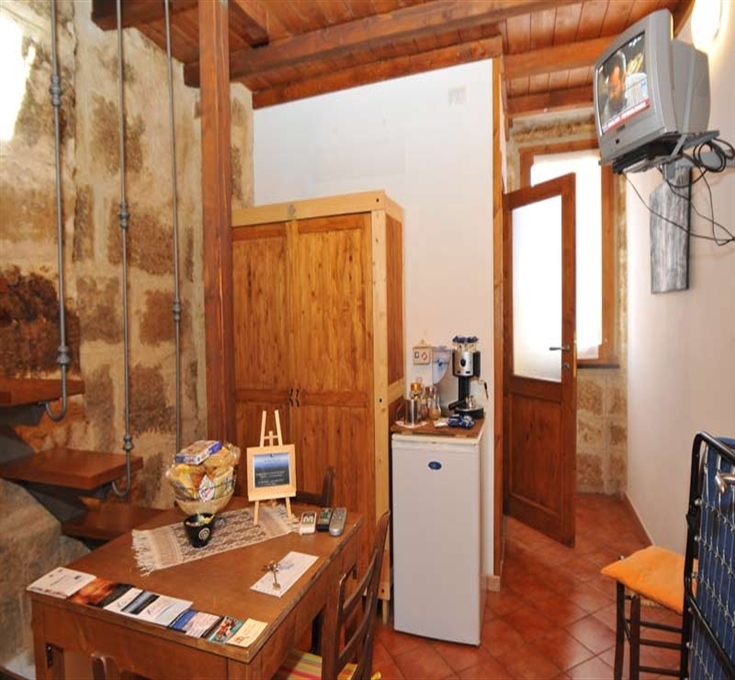 The B&B Aigua is located in the historical centre of Alghero, in via Machin. Alghero Airport is about 10 Km from the B&B. Once you get out of the airport, turn right and take the S.P. n° 44 until the crossroads, then turn left into S.S. Var. Calich and, at the next crossroads, turn right and take the S.P. n° 42 (Strada dei due Mari). Drive on via Minzoni and via Garibaldi, turn right to Piazza Terra and again right to Via Machin. 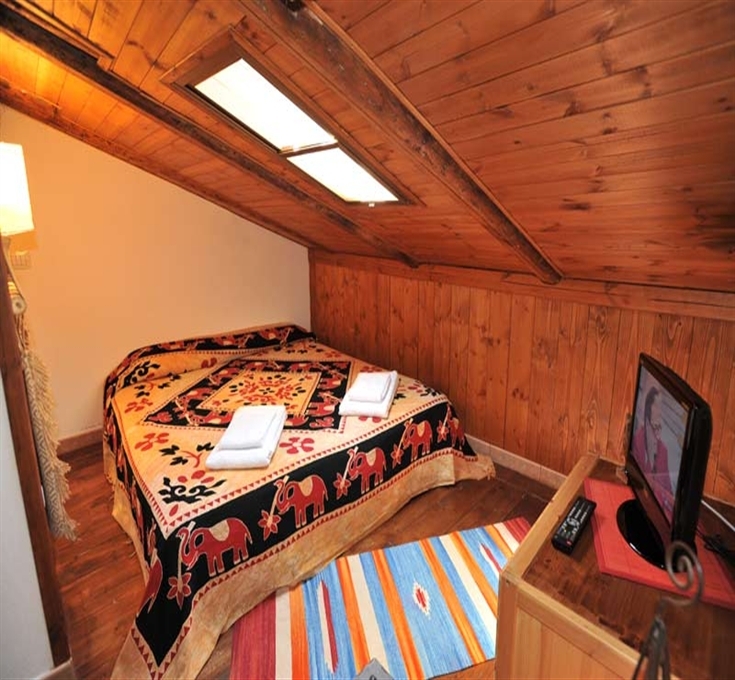 This property requires minimum stays of 2 nights from 14/03 to 31/05 and from 01/10 to 04/01, minimum stays of 3 nights from 01/06 to 31/07 and from 01/09 to 30/09, and minimum stays of 4 nights from 01/08 to 31/08. 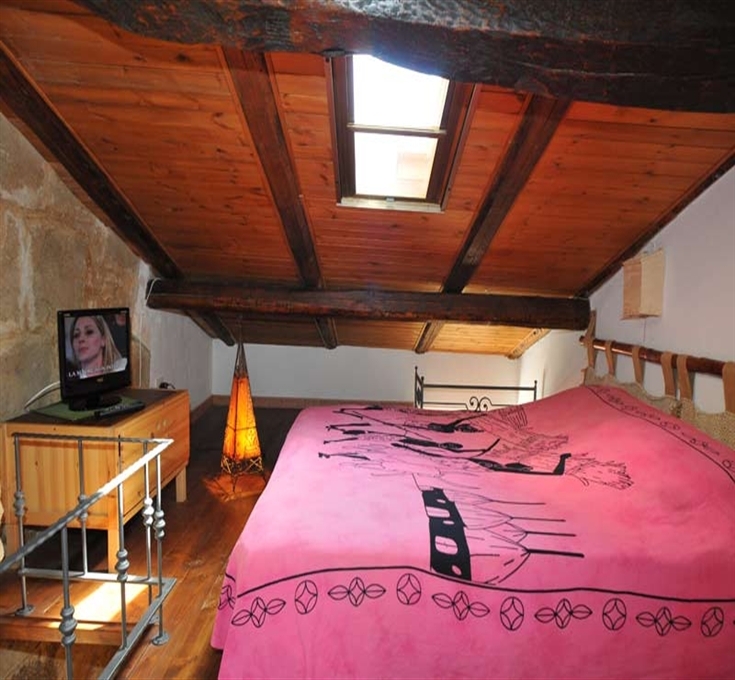 - Children from 6 and adults in extra bed: Euro 27,50 per day. 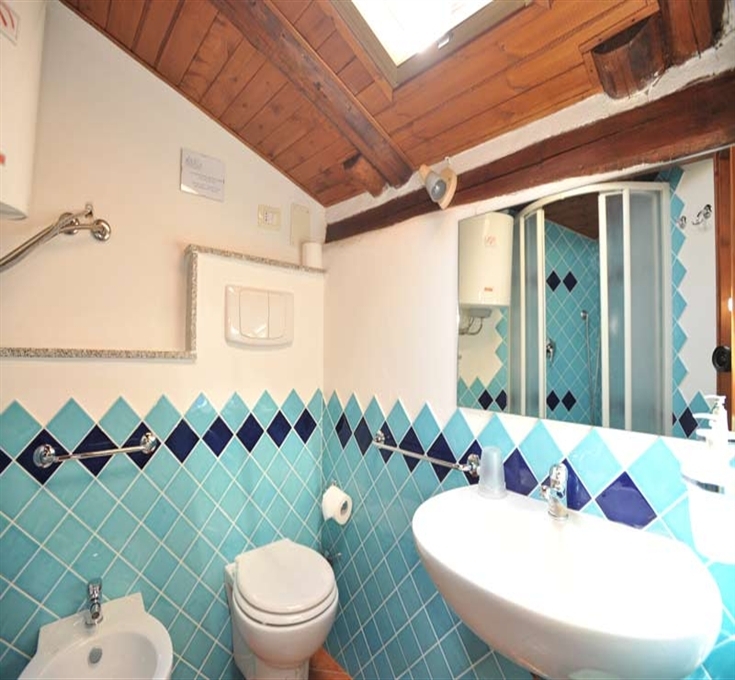 - Tourist Tax (for the first 7 days of the stay): from 01/01 to 30/04 and from 01/10 to 31/12 Euro 0,25 per person per day, from 01/05 to 30/09 Euro 0,50 per person per day. Exempt from payment children under 12 years. - Transfer service from/to Alghero-Fertilia airport: Euro 30,00 one way.